Ceria Merlone – an impressive climbing route crossing in western Julian Alps (Italy), that I had in mind to walk for 15 years. In fact I was here with a group of friends at that time, but we didn’t manage to complete the whole crossing because of lack of time. Anyway, this amazing ridge crossing between Viš / Jof Fuart and Montaž / Iof di Montasio, the two highest mountains in western Julian Alps, was definitely worth all the effort. 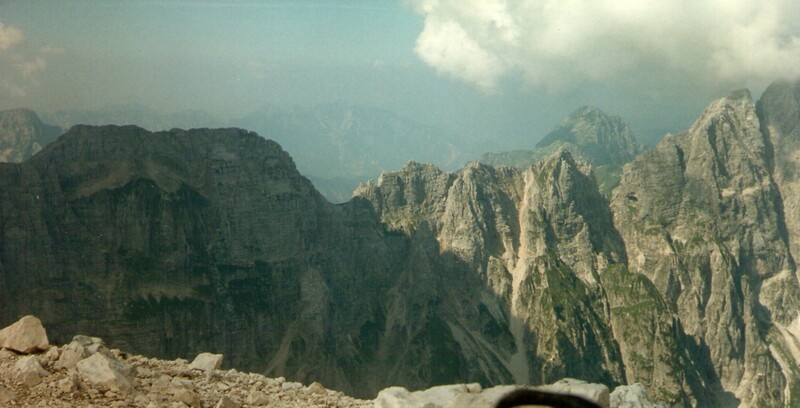 This, unjustly neglected part of the Julian Alps is uniquely magical. Can you imagine that this area was a battlefield only a century ago? What’s going on in my kingdom? Please note that for this route it’s recommended the use of full self protection equipment (helmet and harness).